Yesterday was a day to savor: Our Harvest Lunch and “Farm to Table” talk by Tim on how we grow our veggies. The Harvest Lunch was all about how to enjoy them! 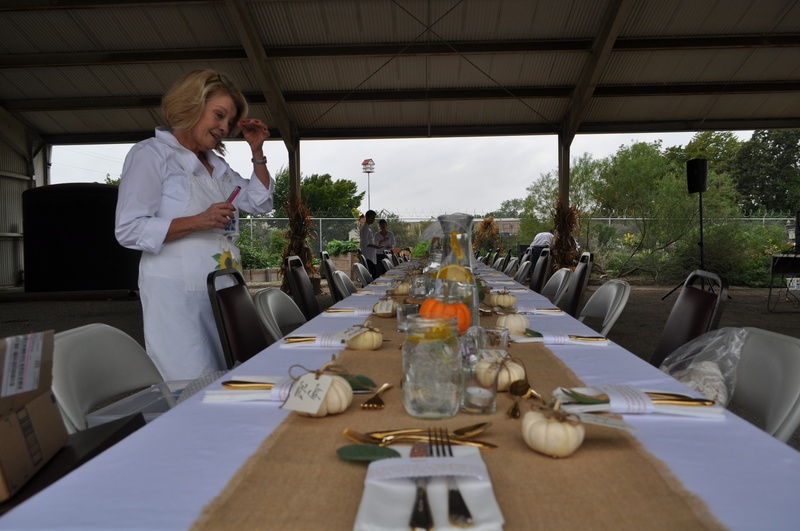 We had 46 guests and 20 Dallas County Master Gardener as cooks and servers. If you weren’t able to come, please look through our pictures and recipes over the next few days and imagine you were there! 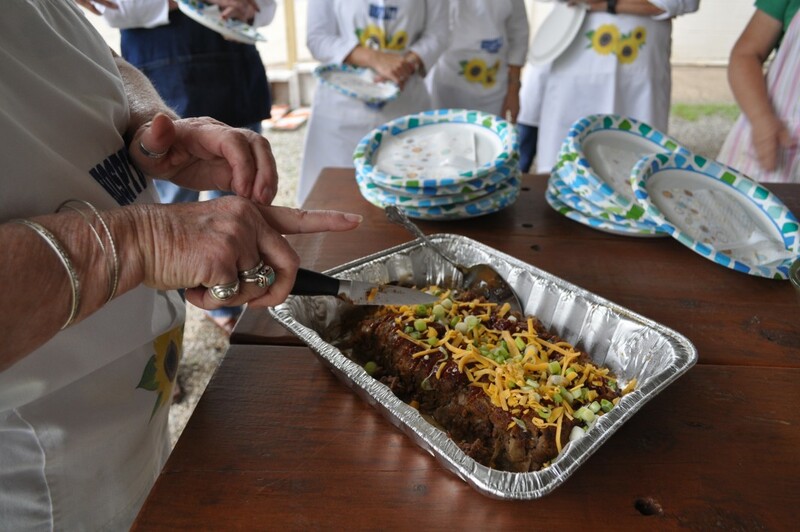 Linda shared her family recipe for meat loaf. The servers ate beforehand to make sure everything was perfect and yes, it was. Karan’s Meat Loaf and Linda’s Piquant Sauce for the top. Like good friends, they compliment each other! 1. Combine ground beef, breadcrumbs, chopped onion, salt, pepper, beaten egg, and tomato sauce in a large bowl; stir well. Shape meat mixture into a 12- x 7-inch loaf; place in a 13- x 9- x 2-inch baking pan. Pour Piquant Sauce over top of loaf. 2. Bake at 350 degrees for 1 hour and 15 minutes. Baste with sauce while baking. 3. Transfer meat loaf to a serving platter. Garnish with sauce from pan, sliced green onions, and grated cheddar cheese. Combine all ingredients in a small bowl, stirring well. 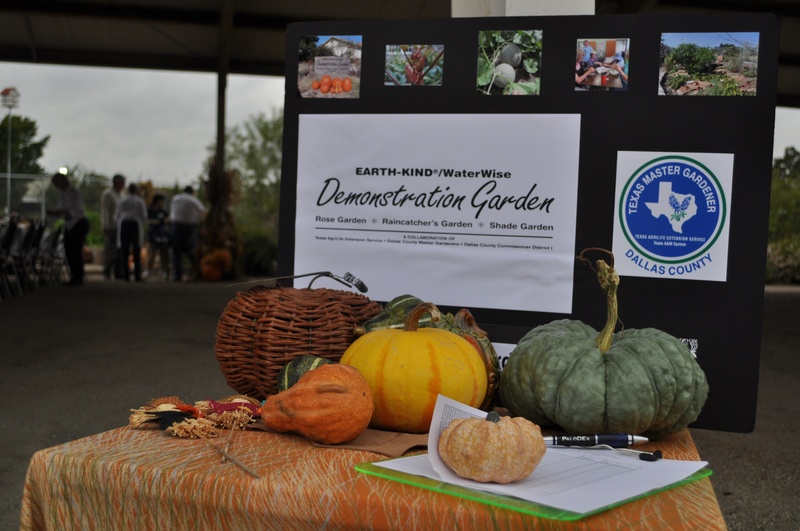 Posted in Recipe and tagged Dallas Farm to Table, garden recipe. Bookmark the permalink.